He was one of their teachers in one of their institutes. We learn that the very foundation of SDA belief is a shoddy pile of copy work. In school we were flunked for this. In the SDA church the scholars exalt this criminal hag. Now, observe the folly. White copied The Great Controversy from a book titled, Life Incidents! The Great Controversy contains the pillars and foundation of Adventist theology. 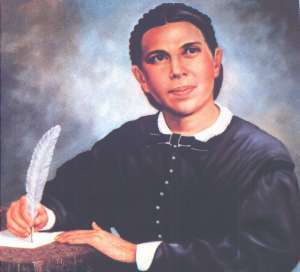 Ellen G White copied these key doctrines in the Great Controversy from books written by James White. James White copied his books from books written by J. N. Andrews. Thus the ultimate source of Seventh-day Adventist theology is not God inspiring new truths to White, but plagiarizing (copying) J. N. Andrews. We suggest that White step down and let Andrews take her place as the single most influential source of doctrine in the SDA church! Uriah Smith (See photo of the man at the left) and John Nevins Andrews (See photo of the man at the right). Neither of the books were ever printed again under the name of James White as far as is known. But they were indeed reprinted under another name, that of Ellen G. White, his wife, a few years after his death in 1881-but under the title The Great Controversy (1884). And this production was sold to the believers and the world as the work of Ellen and the angels. Although it had been doctored and padded with other material in the usual manner, clearly it was material that had been published earlier under the name of James. What the people were not told was that the heart of this new revelation had been printed sixteen years before, and that the theme and thesis had been over literally and liberally into Ellen's new Great Controversy. One reason is now clear why much of the information in the 1884 edition of The Great Controversy could not have been included in the earlier works of Ellen on the same subject Spiritual Gifts, published 1858-64). James had not yet gotten around to copying it from J. N Andrews; so it was not available to Ellen at the time. 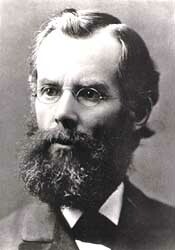 The 1888 and 1911 editions of The Great Controversy went back to James White's compilation of doctrines and events and picked up even more of his findings and ideas. But never once was it suggested that the heart of Adventist doctrine-such as the three angels' worldwide message that the church had applied exclusively to the Adventists, the shut door that left everyone else out in the cold, the 2300 days, the seventy weeks, the sanctuary doctrine, the United States in prophecy, the "mark of the beast," the image to that beast had all come out earlier in James White's Life Incidents. was copied from James White who copied it from J. N. Andrews! So striking was the copying done under the name of Ellen-and so sensitive is the information that the heart of Adventist theology and eschatology came, not from the visions of or revelations to Ellen, but from the pen of James sixteen years before Ellen wrote them out- that time should be spent examining the evidence in Life Incidents. Here it should be recalled that the four small volumes of Ellen's Spiritual Gifts (1858-64) were amplified to the four volumes of Ellen's The Spirit of Prophecy (1870-84) and then expanded to Ellen's The Great Controversy (1888 ea.) of the five-volume "Conflict of the Ages Series." Inasmuch as the earlier eight volumes are now again available in facsimile editions, anyone can examine all the books and note the progressive copy work through the years. Meanwhile, during those same years, the legend grew and grew and was "sold" and accepted that God had given Ellen exclusive and firsthand knowledge of his plans for the future events of the church and the world. Comparison shows that words, sentences, quotations, thoughts, ideas, structures, paragraphs, and even total pages were taken from James White's book to Ellen's book under a new title-with no blush of shame, no mention of her husband, no thanks to Uriah Smith and J. N. Andrews, for the hard work and theological insights of anyone. Unfortunately for James, he did not have the personal advantage of angels checking in and out on schedule with the firsthand information Ellen purported to have. Without any intermediary, he had to get his material from human sources. But he was equal to the task. Much of his material in Life Incidents was taken primarily from J. N. Andrews, whose book published in 1860, interestingly enough, was entitled The Three Messages of Revelation XIV, 6-12, and particularly The Third Angel's Message and The Two-Horned Beast. James, unlike his wife Ellen, did not even bother to paraphrase- he just took the material from Andrews wholesale into his work. Examination reveals that the 1860 book of J. N. Andrews was an exact replay of his own 1851-55 articles in the Review. Thus James and Ellen had available for their perusal and use after 1855 the content and form of Andrew's work for incorporation in their own work: Spiritual Gifts (1858-64); Life Incidents (1868); The Spirit of Prophecy (1870-84); Sketches of. . . William Miller (1875); The Great Controversy (1888). 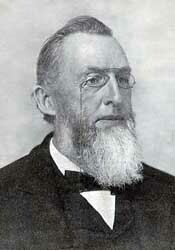 He [William Miller] had a sound physical constitution, and... more than ordinary intellectual strength. As he grew older, this became more marked.... He did not enjoy the advantages of a collegiate education.... He possessed an Irreproachable moral character. "In his early childhood [William Miller], marks of more than ordinary intellectual strength and activity were manifested. A few years made these marks more noticeable. ... He possessed a strong physical condition ... and an Irreproachable moral character.... He had enjoyed the limited advantages of the district school." "He has stated the period of his deistical life to have been twelve years." He found in his former belief no assurance of happiness beyond the grave. The future was dark gloomy. "He found that his former views gave no assurance of happiness and beyond the present life. Beyond the grave all was dark and gloomy." "Annihilation was a cold and chilling thought, and accountability was sure destruction to all. The heavens were as brass over my head, and the earth as iron under my feet. Eternity-what was it? And death- why was it? The more I reasoned, the further I was from demonstration. The more I thought, the more scattered were my conclusions. I tried to stop thinking, but my thoughts would not be controlled. I was truly wretched, but did not understand the cause. I murmured and complained, but knew not of whom. I knew that there was a wrong, but knew not how or where to find the right. I mourned, but without hope." "'Annihilation was a cold and chilling thought, and accountability was sure destruction to all. The heavens were as brass over my head, and the earth as iron under my feet. Eternity!- what was it? And death- why was it? The more I reasoned, the further I was from demonstration. The more I thought, the more scattered were my conclusions... but my thoughts would not be controlled. I was truly wretched, but did not understand the cause. I murmured and complained, but knew not of whom. I knew that there was a wrong, but knew not how or where to find the right. I mourned, but without hope.' "
 "I saw that the Bible did bring to view just such a Saviour as ~ needed; and I was perplexed to find how an uninspired book should develop principles so perfectly adapted to the wants of a fallen worfd. I was constrained to admit that the Scriptures must be a revelation from God. They became my delight; and in Jesus I found a friend. The Saviour became to me the chiefest among ten thousand; and the Scriptures, which before were dark and contradictory, now became the lamp to my feet and light to my path. My mind became settled and satisfied. I found the Lord God to be a Rock in the midst of the ocean of life. The Bible now became my chief study, and I can truly say, I searched it with great delight. I found the half was never told me. I wondered whv I had not seen its beauty and glory before, and marveled that I could have ever rejected it. I found everything revealed that my heart could desire, and a remedy for every disease of the soul. I lost all taste for other reading, and applied my heart to get wisdom from God."-S. Bliss, Memoirs of Wm. Miller, pages 65-67. "'I saw that the Bible did bring to view just such a Saviour as I needed; and I was perplexed to find how an uninspired book should develop principles so perfectly adapted to the wants of a fallen worfd. I was constrained to admit that the Scriptures must be a revelation from God. They became my delight; and in Jesus I found a friend. The Saviour became to me the chiefest among ten thousand; and the Scriptures, which before were dark and contradictory, now became the lamp to my feet and light to my path. My mm became settled and satisfied. I found the Lord God to be a Rock in the midst of the ocean of life. The Bible now became my chief study, and I can truly say, I searched it with great delight. ~ found the half was never told me. I wondered why I had not seen its beauty and glory before, and marveled that I could have ever rejected it. I found everything revealed that my heart could desire, and a remedy for every disease of the soul. I lost all taste for other reading, and applied my heart to get wisdom from God. But he reasoned that if the Bible is a revelation from God, it must be consistent with itself; and that as it was given for man's instruction, it must be adapted to his understanding. He determined to ... ascertain if every apparent contradiction could not be harmonized. Endeavoring to lay aside all preconceived opinions, and dispensmg with commentaries, he compared scripture with scripture by the aid of the marginal references and the concordance. He pursued his study in a regular and methodical manner; beginning with Genesis, and reading verse by verse, he proceeded no faster than the meamng of the several passages so unfolded~as to leave him free from all embarrassment. When he found anything obscure, it was his custom to compare it with every other text which seemed to have an reference to the matter under consideration. Every word was permitted to have its proper bearing upon the subect of the text, and if his view of it harmonized with every collateral passage, it ceased to be a difficulty. He saw that the prophecies, so far as they had been fulfilled, had been fulfilled literally; that all the various figures, metaphors, parables, similitudes, etc., were either explained in their immediate connection, or the terms in which they were expressed were defined in other scriptures, and when thus explained, were to be literally understood. "I was thus satisfied," he says, "that the Bible is a system of revealed truths, so clearly and simply given that the wayfaring man, though a fool, need not err therein. "-Bliss, page 70. [321 ] He became satisfied that. . .- a temporal millennium before the end of the world-was not sustained by the word of God.... Miller found the literal, personal coming of Christ to be plainly taught in the Scriptures. Daniel 8:14: "Unto two thousand and three hundred days; then shall the sanctuary be cleansed.". .. Miller learned that a day in symbolic prophecy represents a year (Numbers 14:34; Ezekiel 4:6); he saw that the period of 2300 prophetic days, or literal years, would extend far beyond. In the eighth chapter of Daniel he could find no clue to the starting point of the 2300 days.... Daniel "fainted, and was sick certain days." "And I was astonished at the vision.". .. Taking 457 B.C...."Messiah the Prince shall be seven weeks, and threescore and two weeks" ... or 483 years. Threescore and two weeks... 483 years, were to extend to Messiah the Prince. "I need not speak," says Miller, "of the joy that fined my heart in view of the delightful prospect, nor of the ardent longings of my soul for a participation In the joys of the redeemed. The Bible was now to me a book. It was indeed a feast of reason; all that was dark, mystical, or obscure to me in its teachings, had been dissipated from my mind before the clear light that now dawned from its sacred pages; and, oh, how bright and glorious the truth appeared. All the contradictions and inconsistencies I had before found in the word were gone; and although there were many portions of which I was not satisfied I had a full understanding, yet so much light had emanated from it to the illumination of my before darkened mind, that I felt a delight in studying the Scripture which I had not before supposed could be derived from Its teachings. "-Bliss, pages 76,77. "I need not speak of the joy that filled my heart in view of the delightful prospect, nor of the ardent longings of my soul for a participation in the joys of the redeemed. T he Bible was now to me a new book. It was indeed a feast of reason; all that was dark, mystical or obscure, to me, in its teachings, had been dissipated from my mind before the clear light that now dawned from its sacred pages, and oh, how bright and glorious the truth appeared) All the contradictions and inconsistencies 1 had before found in the word were gone; and, although there were many portions of which I was not satisfied I had a full understanding, yet so much light had emanated from it to the illumination of my before darkened mind, that I felt delight in studying the Scriptures which I had not before supposed could be derived from its teachings. "With the solemn convictions," writes Mr. Miller, "that such momentous events were predicted in the Scriptures, to be fulfilled in so short a space of time, the question came home to me with mighty power regarding my duty to the world, in view had affected my own mind." He expected to encounter opposition from the ungodly, but was confident that all Christians would rejoice in the hope of meeting the Saviour whom they professed to love. His only fear was that in their great joy at the prospect of glorious deliverance, so soon to be consummated, many would receive the doctrine without sufficiently examining the Scriptures in demonstration of its truth. He therefore hesitated to present it, lest he should be in error and be the means of misleading others. "I supposed that it would call forth the opposition of the ungodly; but it never came into my mind that any Christian would oppose it. I supposed that all such would be so rejoiced, in view of the glorious prospect, that it would only be necessary to present it, for them to receive it. My great fear was, that, in their joy at the hope of a glorious inheritance so soon to be revealed, they would receive the doctrine without sufficiently examining the Scriptures in demonstration of its truth. l therefore feared to present it, lest, by some possibility, I should be in error, and be the means of misleading any." He was thus led. . . to consider carefully every difficulty which presented itself to his mind. He found that objections vanished before the light of God's word.... Five years spent thus left him fully convinced of the correctness of his position. "In this way I was occupied from 1818 to 1823, in weighing the various objections which were being presented to my mind ... after examining them in the light of the divine word." "When I was about my business," he said, "it was continually ringing in my ears, 'Go and tell the world of their danger.' This text was constantly occurring to me: 'When I say unto the wicked, O wicked man, thou shalt surely die; if thou doest not speak to warn the wicked from his way, that wicked man shall die in his iniquity; but his blood will I require at shine hand. Nevertheless, if thou warn the wicked of his way to turn from it; if he do not turn from his way, he shall die in his iniquity; but thou hast delivered thy soul.' Ezekiel 33:8,9." "'When I was about my business it was continually ringing in my ears, Go and tell the world of their danger. This text was constantly occurring to me: "When I say unto the wicked, O wicked man, thou shalt surely die; if thou cost not speak to warn the wicked from his way, that wicked man shall die in his iniquity but his blood will I require at thy hand. Nevertheless, if thou warn the wicked of his way to turn from it, if he do not turn from his way, he shall die in his iniquity; but thou has delivered thy soul.' 'Eze. xxxiii, 8,9. He began to present his views in private as he had opportunity, praying that some minister might feel their force and devote himself to their promulgation. But he could not banish the conviction that he had a personal duty to perform in giving the warning.... For nine years he waited, the burden still pressing upon his soul, until in 1831. The public labors of Mr. Miller, according to the best evidence to be obtained, date from the autumn of 1831. An angel is seen flying "in the midst of heaven, having the everlasting gospel to preach unto them that dwell on the earth, and to every nation, and kindred, and tongue, and people." "With a loud voice he proclaims the message: "Fear God, and give glory to Him; for the hour of His Judgment is come: and worship Him that made heaven, and earth, and the sea, and the fountains of waters." Verses 6,7. "And I saw another angel fly in the midst of heaven, having the everlasting gospel to preach unto them that dwell on the earth, and to every nation, and kindred, and tongue, and people, saying with a loud voice, Fear God, and give glory to him; for the hour of his judgment is come; and worship him that made heaven and earth, and the sea, and the fountains of waters." Rev. xiv, 6,7. The message of salvation has been preached in all ages.... Daniel was bidden to close up and seal "to the time of the end.". .. But at the time of the end. .. "many shall run to and fro, and knowledge shall be increased." Daniel 12:4. The apostle Paul warned the church not to look for the coming of Christ in his day. "That day shall not come," he says, "except there come a falling away first, and that man of sin be revealed." 2 Thessalonians 2:3. Not till after the great apostasy, and the long period of the reign of the "man of sin," can we look for the advent of our Lord. The "man of sin," which is also styled "the mystery of iniquity," "the son of perdition," and "that wicked," represents the papacy, which, as foretold in prophecy, was to maintain its supremacy for 1260 years.... Paul covers with his caution the whole of the Christian dispensation down to the year 1798. No such message has ever been given in past ages. Paul, as we have seen, did not preach it; he pointed his brethren into the then farï¿½distant future for the coming of the Lord.... Martin Luther placed the judgment about three hundred years m the future from his day. "The burden of this angel was to be the same gospel which had been before proclaimed." No proclamation of the hour of Cod's judgment to come, has ever been made in any past age. No persons have ever been able to show any such proclamation in the past. The apostles did not make such a proclamation. On the contrary, they plainly inform us that the day of the Lord was not then at hand. Martin Luther did not make this proclamation; for he thought the Judgment about three hundred years In the future. Rev. xii shows that it is. . .1260 years for his triumph. The papal supremacy began 538, and ended in 1798. Among Jews, Turks, Parsees, Hindus, and many other nationalities and races he distributed the word of God in these various tongues. "'Joseph Wolff...between the years 1821 and 1845, proclaimed the Lord's speedy advent in . . . Egrypt . . . St. Helena... and at New York cilty.... He declares he has preached among Jews, Turks, Mohammedans, Parsees, Hindoos...."
 In Revelation 14 the first angel is followed by a second proclaiming: "Babylon is fallen, is fallen, that great city, because she made all nations drink of the wine of the wrath of her fornication." Revelation 14:8. The term "Babylon" is derived from "Babel," and signifies confusion. It is employed in Scripture to designate the various forms of false or apostate religion. In Revelation 17 Babylon is represented as a woman-a figure which is used in the Bible as the symbol of a church, a virtuous women representing a pure church, a vile woman an apostate church. In the Bible the sacred and enduring character of the relation that exists between Christ and His church is represented by the union of marriage. "And there followed another angel, saying Babylon is fallen, is fallen, that great city, because she made all nations drink of the wine of the wrath of her fornication." In Rev. xvii, 18, this same city is called a woman. Now a woman is always in the Scriptures, when used as a symbol, taken to represent religious organizations, the true church being represented by a virtuous woman.... The term Babylon, from Babel, where God confounded the language of men, signifies mixture, confusion. corrupted systems of Christianity. Protestant churches. Paul employs the same figure in the New Testament when he says: "I have espoused you to one husband, that I may present you as a chaste virgin to Christ." 2 Corinthians 11:2. Paul, in writing to the church, 2 Cor. xi, 2, says, "l have espoused you to one husband, that I may present you a chaste virgin to Christ." Dr. Hopkins, in "A Treatise on the Millennium," declares: "There is no reason to consider the ant Christian spirit and pract~ces to be confined to that which is now called the Church of Rome. The Protestant churches have much of antichrist in them, and are far from being wholly reformed from... corruptions and wickedness. "-Samuel Hopkins, Works, vol. 2, p. 328. "There is no reason to consider the antichristian spirit and practices confined to that which is now called the Church of Rome. The Protestant churches have much of antichrist m them, and are far from being wholly reformed from her corruptions and wickedness." And a writer in the New York Independent speaks thus concerning Methodism as it is: "The line of separation between the godly and the irreligious fades out into a kind of penumbra, and zealous men on both sides are toiling to obliterate all difference between their modes of action and enjoyment." "The popularity of religion tends vastly to increase the number of those who would secure its benefits without squarely meeting its duties." Prof. S. C. Bartlett, of Chicago, in the New York Independent, says "And the popularity of religion tends vastly to increase t e number of those who would secure its benefits without squarely meeting its duties. The church courts the world, and the world caresses the church. The line of separation between the godly and the irreligious fades out into a kind of penumbra, and zealous men on both sides are toiling to obliterate all difference between their modes of action and enjoyment." By the tarrying of the bridegroom is represented the passing of the time when the Lord was expected, the disappointment, and the seeming delay. The tarrying of the bridegroom, the delay in the parable. . . the passing of the Jewish year, 1843, the disappointment. About this time, fanaticism began to appear.... Satan was seeking... to oppose and destroy the work of God. But fanaticisms are the works of the flesh.... When the work of Satan in fanaticism is carried out. . . its contrast. . . will be seen. It was not the proclamation of the second advent that caused fanaticism and division. These appeared in the summer of 1844. Fanaticism disappeared... like early frost before the rising sun. That fanaticism dried up before the solemn and searching timeï¿½message of 1844, like the morning dew before the midsummer's sun. "At midnight there was a cry made, Behold, the bridegroom cometh; go ye out to meet him. Then all those virgins arose, and trimmed their lamps." Matthew 25:5-7. In the summer of 1844, midway between the time when it had been first thought that the 2300 days would end, and the autumn of the same year, to which it was afterward found that they extended, the message was proclaimed in the very words of Scripture: "Behold, the Bridegroom cometh!" "And at midnight there was a cry made, Behold the bridegroom cometh." Matt. xxv, 1-7. It was suggested that the night of tarry in t e parable represented half of the prophetic day, or six months, extending from the passing of the time in the spring, to the seventh month in the fall, and that the then present work of waking up under the cry, "Behold the bride groom cometh, go ye out to meet him," commenced in July in the middle of the tarrying time, or at midnight. The decree of Artaxerxes for the restoration of Jerusalem, which formed the starting point for the period of the 2300 days, went into effect in the autumn of the year 457 B.C., and not at the beginning of the year, as had been formerly believed. Reckoning from the autumn of 457, the 2300 years terminate in the autumn of 1844. But the speaker showed an error in this calculation. He stated that it would require 457 full years before Christ, and 1843 full years after Christ, to make 2300 full years, so that if the 2300 years commenced with the first day of B.C. 457, they would reach to the first day of A.D. 1844. On the fourteenth day of the first Jewish month, the very day and month on which for fifteen long centuries the Passover lamb had been slain, Christ, having eaten the Passover with His disciples, instituted that feast which was to commemorate His own death as "the lamb of God." Christ was offered a sacrifice for sinners on the fourteenth day of the first Jewish month, the very day and month on which the Passover lamb had been slain for sixteen long centuries. That he was raised from the dead ... was waved before the Lord. The work was free from those extremes which are ever manifested when there is human excitement without the controlling influence of the word and Spirit of God. It was similar in character to those seasons of humiliation and returning unto the Lord which among ancient Israel followed messages of reproof from His servants. It bore the characteristics that mark the work of God in every age. It was not characterized by those extremes ever manifested where human excitement, and not the word and Spirit of God, has the controlling influence. It was in harmony with those seasons of humiliation, rending of heart, confession and complete consecration of all, which are matters of history in the Old Testament, and are made matters of duty in the New. "There is no great expression of joy; that is, as it were, suppressed for a future occasion, when all heaven and earth will rejoice together with joy unspeakable and full of glory. There is no shouting: that, too, is reserved for the shout from heaven. The singers are silent: they are waiting to join the angelic hosts, the choir from heaven.... There is no clashing of sentiments: all are of one heart an of one mind. "-Bliss, pages 270, 271. "There is no great expression of Joy; that Is, as It were, suppressed for a future occasion, when all Heaven and earth will rejoice together with joy unspeakable and full of glory. There is no shouting; that, too, is reserved for the shout from Heaven. The singers are silent; they are waiting to join the angelic hosts, the choir from Heaven....There is no clashing of sentiments; all are ol one heart and of one mind." "It produced everywhere the most deep searching of heart and humiliation of soul before the God of high heaven. It caused a weaning of affections from the things of this world, a healing of controversies and animosities, a confession of wrongs, a breaking down before God, and penitent, brokenhearted supplications to Him for pardon and acceptance. It caused selfï¿½abasement and prostration of soul, such as we never before witnessed. As God by Joel commanded, when the great day of God should be at hand, it produced a rending of hearts and not of garments, and a turning unto the Lord with fasting, and weeping, and mourning. As God said by Zechariah, a spirit of grace and supplication was Poured out upon His children; they looked to Him whom they had pierced, there was a great mourning m the land ... and those who were looking for the Lord afflicted their souls before Him."-Bliss. "It produced everywhere the most deep searching of heart and humiliation of soul before the God of his~h heaven. It caused a weaning of affections from the things of this world, a healing of controversies and animosities, a confession of wrongs, a breaking down before God, and penitent, brokenhearted supplications to Him for pardon and acceptance. It caused selfï¿½abasement and prostration of soul, such as we never before witnessed. As God, by Joel, commanded, when the great day of God should be at hand, it produced a rending of hearts and not of garments, and a turning unto the Lord with fasting, and weeping, and mourning. As God said by Zechariah, a spirit of grace and supplication was Poured out upon His children; they looked to Him whom they had pierced, there was a great mourning in the land, every family apart and their wives apart, and those who were looking for the Lord afflicted their souls before him"
 Of all the great religious movements since the days of the apostles, none have been more free from human imperfection and the wiles of Satan than was that of the autumn of 1844. Even now after the lapse of many years, all who shared. .. have stood firm. But of all the great religious movements since the days of the first apostles of our Lord, none stand out more pure and free from the imperfections of human nature, and the wiles of Satan, than that of the autumn of 1844. In fact, after looking back upon it for more than twenty years as the greenest spot... I do not see how it could have been better. The earnest, sincere believers had given up all for Christ and had shared His presence as never before They had, as they believed, given their last warning to the world, and expecting soon to be received into the society of their divine Master and the heavenly angels, they had, to a great extent, withdrawn from the society of those who did not receive the message. With intense desire they had prayed: "Come Lord Jesus, and come quickly." But He had not come. And now to take up again the heavy burden of life's cares and perplexities and to endure the taunts and sneers of a scoffing world, was a terrible trial of faith and patience. True believers had given up all for Christ, and had shared his presence as never before. They had, as they supposed, given their last warming to the world, and had separated themselves, more or less, from the unbelieving, scoffing multitude. And with the divine blessing upon them, they felt more like association with their soon expected Master and the holy angels.... They prayed, "Come Lord Jesus, and come quickly." But he did not come. And now to turn again to the cares, perplexities, and dangers of life, in full view of the jeers and revilings of unbelievers who now scoffed as never before, was a terrible trial of faith and patience. The instruction here given is especially adapted to the experience of Adventists.... They had done the will of God.... "Now the just shall live by faith." As the bright light of the "midnight cry" had shone upon their pathway, and they had seen the prophecies unsealed and the rapidly fulfilling signs telling that the coming of Christ was near, they had walked, as it were, by sight. But now, bowed down by disappointed hopes, they could stand only by faith in God and in His word....  To renounce their faith now, and deny the power of the Holy Spirit which had attended the message, would be drawing back toward perdition. They were encouraged to steadfastness by the words of Paul: "Cast not away therefore your confidence." In common with the rest of the Christian world, Adventists then held that the earth, or some portion of it, was the sanctuary. But it should be borne in mind that at that time those types which point to the work in the heavenly sanctuary were not understood. In fact, no one had any definite idea of the tabernacle of God in Heaven. And Paul says that the first tabernacle "was a figure ... ;" that ItS holy places were "patterns of things m the heavens;, that the priests... served "unto the example and shadow of heavenly things.' ... Hebrews 9:9,23; 8:5; 9:24. We now see that the two holies of the typical sanctuary, made by the direction of the Lord to Moses, with their two distinct ministrations -the daily and the yearly services,- were, in the language of Paul to the Hebrews, "patterns of things in the Heavens," "figures of the true," chapter ix. He also says of the work of the Jewish priests in chapter viii, "Who serve unto the example and shadow of heavenly things." It was the work of the priest . . . to present before God the blood of the sin offering, also the incense which ascended with the prayers of Israel. So did Christ plead His blood before the Father in behalf of sinners, and present before Him also, with the precious fragrance of His own righteousness, the prayers of penitent believers. For eighteen centuries this work of ministration continued in the first apartment of the sanctuary. His ministry in the holy from his ascension in the spring of :.D. 31 to the autumn of 1844, was eighteen hundred and thirteen years and six months. This is the service which began when the 2300 days ended. At that time, as foretold by Daniel the prophet, our High Priest entered the most holy, to perform the last division of His solemn work-to cleanse the sanctuary. So Christ ministered in connection with the holy place of the heavenly sanctuary from the time of his ascension to the ending of the 2300 days of Dan. viii, in 1844, when on the tenth day of the seventh month of that year he entered the most holy place of the heavenly tabernacle to make special atonement for the blotting out of the sins of his people, or, which is the same thing, for the cleansing of the sanctuary. The specifications of the parable of the ten virgins, down as far as the cry at midnight, seemed to have ... application ... "Behold the bridegroom cometh, go ye out to meet him." The ten virgins represent those then interested in the subject of the immediate second coming of Christ. The five foolish virgins represent those professed believers who lacked true faith, and who had not the work of the grace and Spirit of God in them. The marriage represents the reception by Christ of His kingdom. The Holy City, the New Jerusalem, which is the capital and representative of the kingdom, is called "the bride, the Lamb's wife," "He carried me away in the spirit," says the prophet, "and showed me that great city, the holy Jerusalem, descending out of heaven from God." Revelation 21:9,10. Clearly, then, the bride represents the Holy City, and the virgins that go out to meet the bridegroom are a symbol of the church. The proclamation, "Behold the bridegroom cometh," in the summer of 1844 led thousands to expect.... At the appointed time the Bridegroom came, not to the earth, as the people expected, but to the Ancient of Days, m heaven, to the marriage, the reception of His kingdom. ... They were not to be present in person at the marriage; for it takes place m heaven.... In the parable it was those who had oil in their vessels with their lamps that went in to the marriage ... those who. . . had also the Spirit and grace of God. The marriage of the Lamb takes place in Heaven before the Lord comes. But clearer light came. While it was true that the door of hope and mercy by which men had for eighteen hundred years found access to God, was closed, another door was opened. The passing of the time in 1844 was followed by a period of great trial to those who still held the advent faith. Their only relief, so far as ascertaining their true position was concerned, was the light which directed their minds to the sanctuary above. Some renounced their faith in their former reckoning of the prophetic periods and ascribed to human or satanic agencies the powerful influence of the Holy Spirit which had attended the advent movement. This church was about to enter upon a period of great trial. And they were to find relief from it, so far as ascertaining their true position is concerned, by light from the heavenly sanctuary. Some took the rash position that the movement had not been directed by the providence of God. The ark of God's testament is in the holy of holiest... As they had studied .. . they saw that He was now officiating before the ark of God. The law of God in the sanctuary in heaven is the great original, of which the precepts inscribed upon the tables of stone and recorded by Moses ... were an unerring transcript. But what was that ark? It was the ark of God's testimony, the ten commandments.... They lead you ... before the mercyï¿½seat which is upon, and but the cover of, the ark containing the law of God. They lift the cover and bid you look into the sacred ark, and there you behold the ten commandments, a copy of which God gave to Moses. In chapter 13 (verses 1-10) is described another beast, "like unto a leopard," to which the dragon gave "his power, and his seat, and great authority." This symbol, as most Protestants have believed, represents the papacy, which succeeded to the power and seat and authority once held by the ancient Roman empire Of the leopard like beast it is declared: "There was given unto him a mouth speaking great things and blasphemies.... And he opened his mouth in blasphemy against God, to blaspheme His name, and His tabernacle, and them that dwell in heaven. And it was given unto to him to make war with the saints, and to overcome them: and power was given over all kindreds, and tongues and nations." This prophecy, which is nearly identical with the description of the little horn of Daniel 7, unquestionably points to the papacy. We find a power symbolized by a great red dragon.... the great red dragon is considered a representative of Pagan Rome. The next phase presented by Rome after the Pagan form was the Papal. Rome Papal succeeded Rome Pagan. The dragon gave his seat, power, and great authority to the beast. Hence the beast can represent none other but Papal Rome. This is further shown by the identity that exists between this beast and the little horn of Dan. vii, 8, 19-26.... 1. That both these powers are . . . speaking great words and blasphemies against God. 2. That they both make war with the saints, and prevail against, or overcome them. 3. That they both have a mouth speaking great things.... 5. That they both continue a time, times, and dividing of time, or 1260 years. "I beheld another beast coming up out of the earth; and he had two horns like a lamb." Verse 11. The lamblike horns indicate youth, innocence, and gentleness.... And the Constitution guarantees... every man being permitted to worship God according to the dictates of his conscience. Republicanism and Protestantism became the fundamental principles of the nation. It was seen coming up at the right time, the time when the first beast went into captivity, in 1798. This nation was then beginning to attract the notice of the world as a rapidly developing and rising power.... Its two horns represent the two leading principles of this government, Republicanism and Protestantism.... Under the mild influence of one of the lamblike horns, the Protestant principle that all have liberty to worship God according to the dictates of their own consciences... thus far guaranteed. Charles Beecher, in a sermon in the year 1846, declared that the ministry of "the evangelical Protestant denominations" is "not only formed all the way up under a tremendous pressure of merely human fear, but they live, and move, and breathe in a state of things radically corrupt, and appealing every hour to every baser element ot their nature to hush up the truth, and bow the knee to the power of apostasy. Was not this the way things went with Rome? Are we not living her life over again? And what do we see just ahead? Another general council! A world's convention! Evangelical alliance, and universal creed"-Sermon on "The Bible a Sufficient Creed," delivered at Fort Wayne, Indiana, Feb. 22, 1846. Papist writers cite "the very act of changing the Sabbath into Sunday which Protestants allow of... because by keeping Sunday, they acknowledge the church's power to ordain feasts, and to command them under sin. "-Henry Tuberville, An Abridgment of the Christian Doctrine, page 58. But Christians of past generations observed the Sunday, supposing that in so doing they were keeping the Bible Sabbath; and there are now true Christians in every church, not excepting the Roman Catholic communion, who honestly believe that Sunday is the Sabbath of divine appointment. The most fearful threatening ever addressed to mortals is contained in the third angel's message. That must be a terrible sin which calls down the wrath of God unmingled with mercy.... The warning against this sin is to be given to the world ... that all may know why they are to be inflicted, and have opportunity to escape. Q" . How prove you that the church hath power to command feasts and holy days? "A. By the very act of changing the Sabbath into Sunday,which Protestants allow of; and, therefore, they fondly contradict themselves, by keeping Sunday strictly, and breaking most other feasts commanded by the same church. "2 How prove you that? "A. Because by keeping Sunday, they acknowledge the Church's power to ordain feasts, &c."-Abridgment of Christ. Doc., pp. 57-59. Now, in view of this fact, there can be no worship nor reception of the mark, such as is contemplated in the prophecy, till it is enforced by this power. The great majority of Protestants who have kept the first day of the week as the Sabbath, although it is an institution of the Papacy, have not had the remotest idea that It had any connection whatever with that false system of worship. ... The denunciation of the third message is against those who knowingly keep Sunday as an institution of the beast.... But the good of past ages have not kept the day with any such understanding of the matter, nor from any such motives. The performance of the worship of the first beast, on pain of drinking his unmingled wrath. With this issue before them, those who yield to his requirements instead of the requirements of God, will worship the beast and receive his mark.